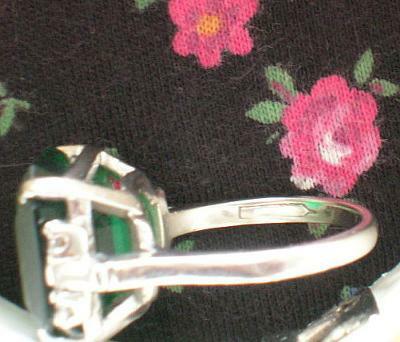 I have an Antique or Vintage emerald ring that is 10k white gold with diamond accents. It is marked with a strange maker's mark that looks like a pencil or needle. Do you know what or who it is? Thank you.